Very nice...congrats. And I'm relieved to see you've finally acquired a new Pete. It's been at least a few days and I was starting to worry. 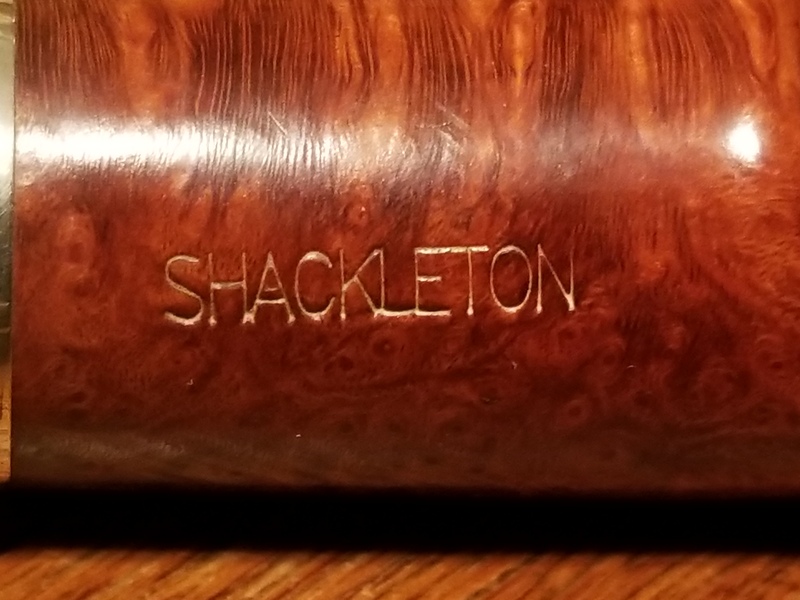 I had no idea there was such a thing as a Shackleton pipe. That is a very dangerous thing for me to know. Freaking lovely! And you really need to stop buying up all the Petes and save some for me! 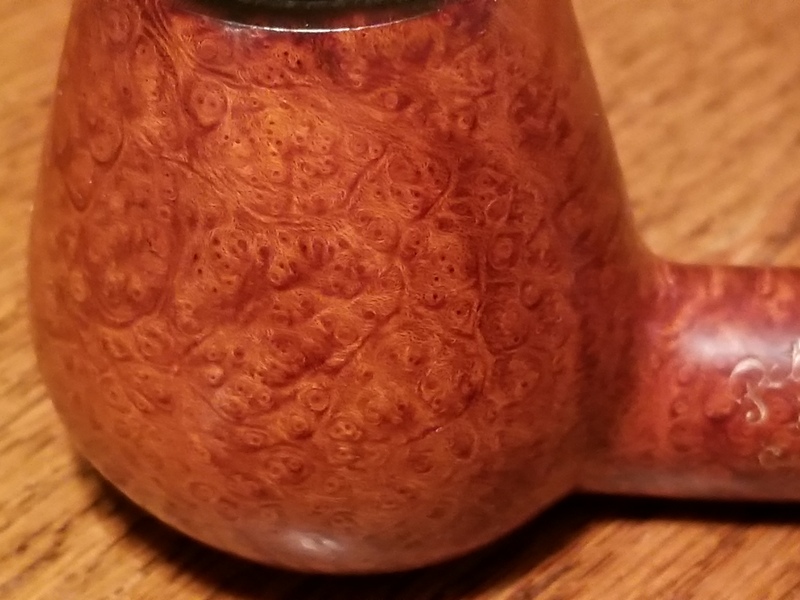 I love the shaping on that one, as it's not a common shape for Peterson. And I had to do a double take at that birdseye grain on the left flank, because it almost looks like it's still plateau! Instances like that, we need a new name for a grain type. In this case, birdseye would now be called Wowseye! Next time someone asks for an example of birdseye in a pipe, you need to post that photo. I can't wait to see it after you clean it up. Congratulations, and enjoy the heck out of it! Uhoh ... Peterson +explorer +Shackleton. Three great reasons to find one of these. Nice! I like when there is a story that goes along with the reason for purchasing a particular pipe...not just PAD. Shackleton- The man and the pipe. Both sturdy and admirable. Well done! Shackleton- The man and the pipe. Both sturdy and admirable. And both made in Ireland! I didn't know about that series, and that is extremely cool. 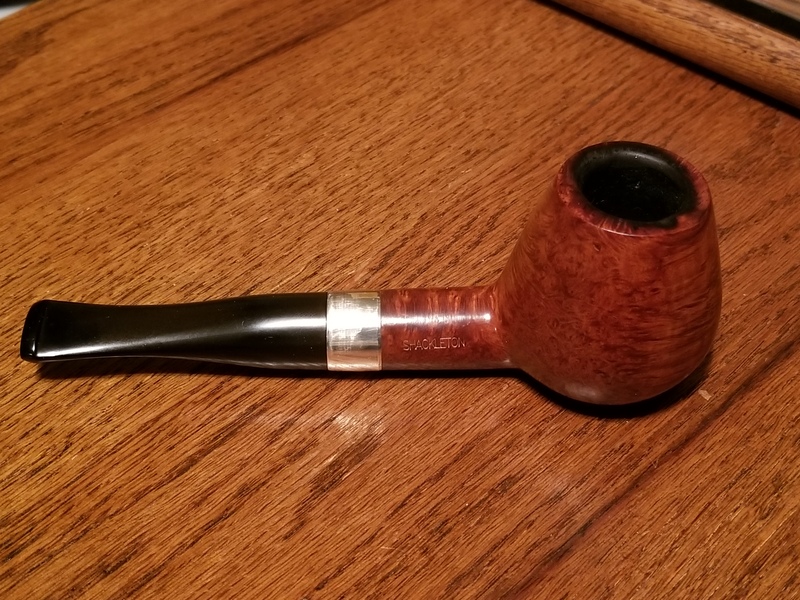 I do have an Around the World series bulldog in honor of Ireland, which is one of my favorite pipes. Well one of my eighty favorites. Anyway, I really like it, a wide nickel band with an Irish cross and bright red stain. I've lusted over the Explorer Series since first clapping eyes on them years ago, especially the Tom Crean Billiard. 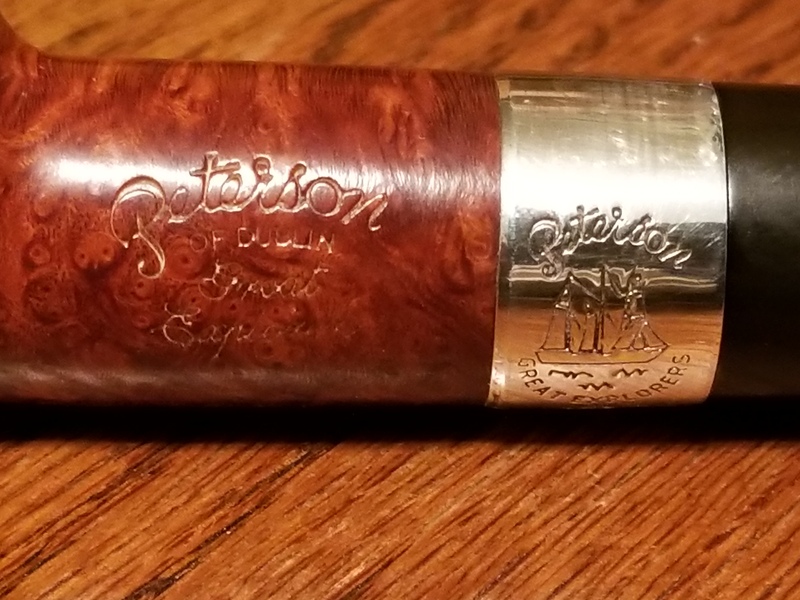 Another awesome pipe, congrats! That grain is lovely, I’m a sucker for loads of birdseye. That is as the boys have said a fine looking smoker. 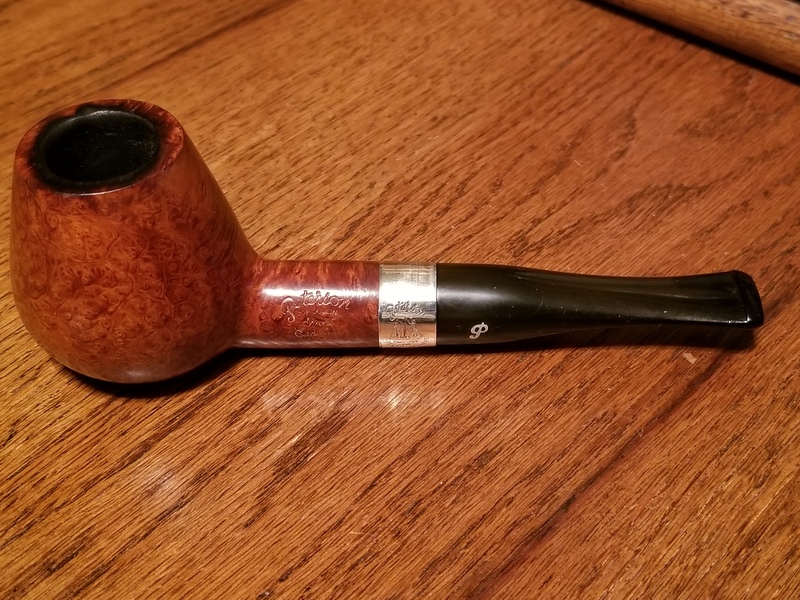 The most Danish looking Irish pipe I have ever seen. You might have to go into the mountains to find some snow Ash for a real “Shackleton Smoke”.